To verify if we are getting any signals – the first thing to do is to run a Scan. This allows us to check if we are getting any Buy or Short signals at all. If there are none, then we need to check the formula and make sure that data interval we are working on are correct (in Periodicity in Analysis->Settings->General). 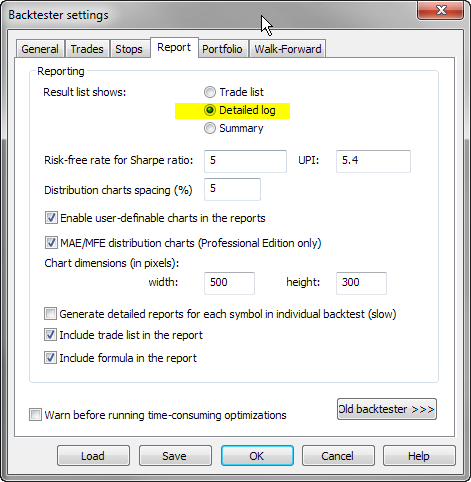 If Scan works fine and returns trading signals, but backtester still does not produce any output, it usually means that the settings are wrong, i.e. 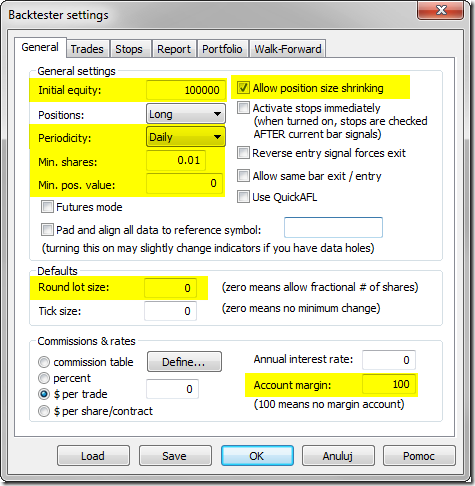 the constraints set in the settings prevent trades from being opened mainly because requested position size is too big or too small. 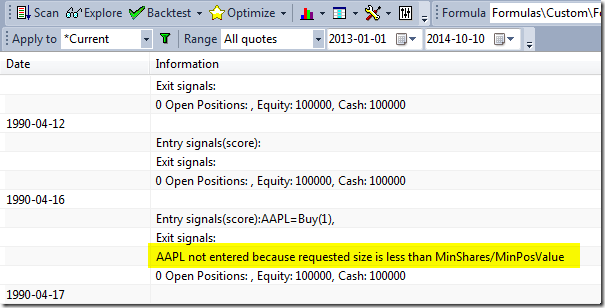 To check what is going on, it is best to switch Report mode to Detailed log and re-run backtest. 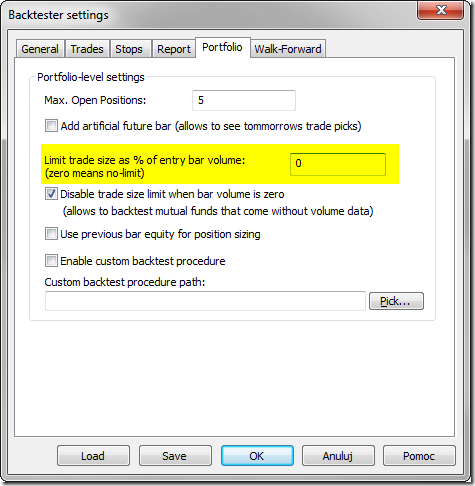 in Portfolio tab, enter 0 in Limit trade size as % of entry bar volume box.